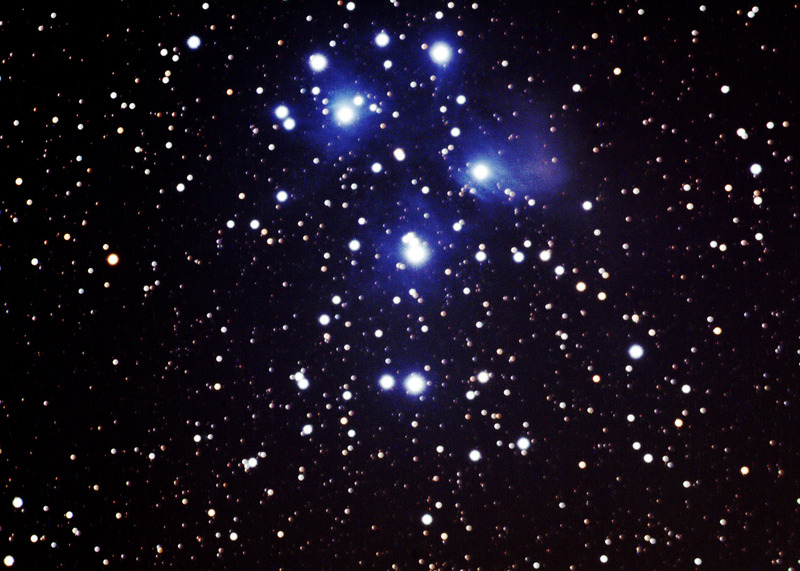 Image attached: Messier 45 (Pleiades Cluster) – finished processing from MDRS WF practice image. 50min exposure LRGB. Poor weather conditions (Cloudy conditions today). Solar Features Observed: None (no observations made today due to weather). Both observatories are clear of snow this evening.